Trying. That's the word we are using to describe this month for Eastern Washington. 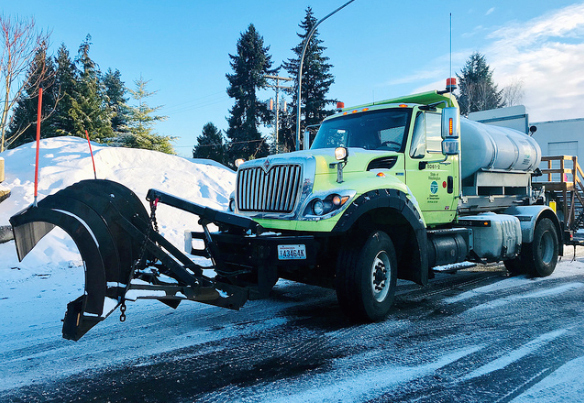 We're on pace to see Spokane's second-highest snowfall for February and it just keeps on coming: as of Wednesday, Feb. 27, we have five highways – State Routes 27, 261, 21, 241 and 221 – closed because of severe winter weather including blowing and drifting snow and reduced visibility. Some of the drifting snow on SR 27 created snow banks more than 12 feet high. And conditions aren't getting better. Winds have been gusting, more snow is forecast and our crews are working hard to keep up. All of our current road closures are south of I-90 where the land is flatter with rolling hills, and the wind is able to travel freely and push snow around. We plow and clear a roadway only to have snow drift back in just minutes. In one instance, four feet of snow drifted back on the road within an hour. In town, winds seem calmer, snow isn't drifting and people may think it's not that bad...but it is. Towns like Tekoa have buildings and trees to slow the rate of wind. Outside of town, the wind and blowing snow pass right through and over the rolling hills. This blows a significant amount of snow onto the highway and makes visibility tough, conditions that threaten public safety and lead to road closures. 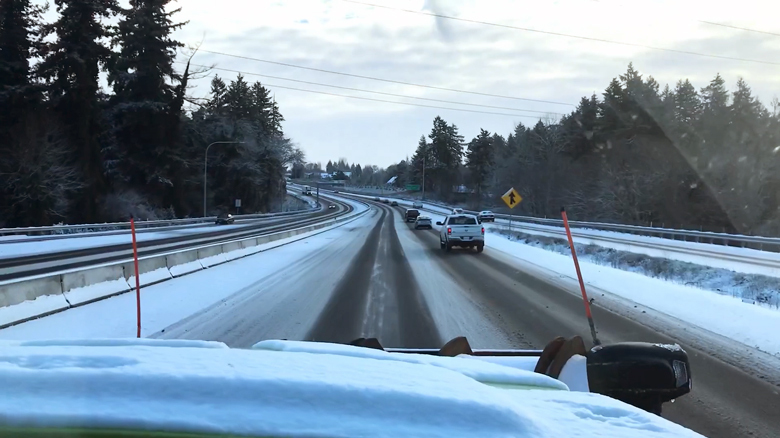 On Tuesday, Feb. 26, I rode with our crews on SR 27. 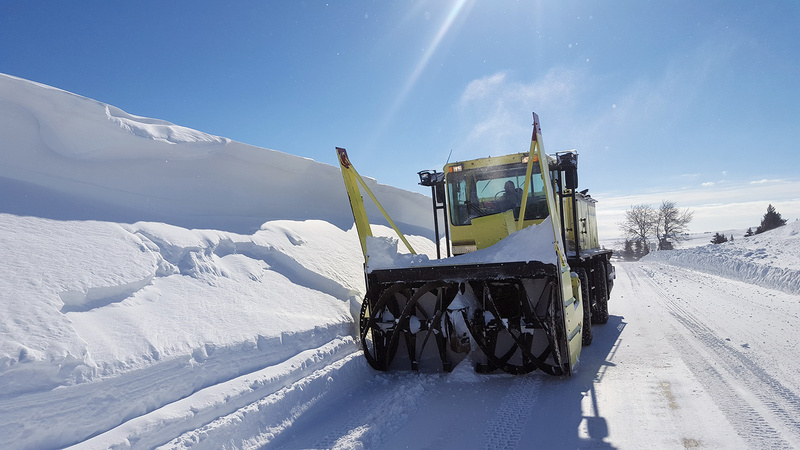 Because of the conditions, it took two plow trucks, a grader and blower almost all day to do two passes of a 10-mile stretch on the closed highway. We were finally able to reopen the road in the afternoon, but it was closed again nine hours later. Thank you Mother Nature! We saw some snow banks that were more than 12-feet tall! Our crews are doing the best they can with the resources we have. 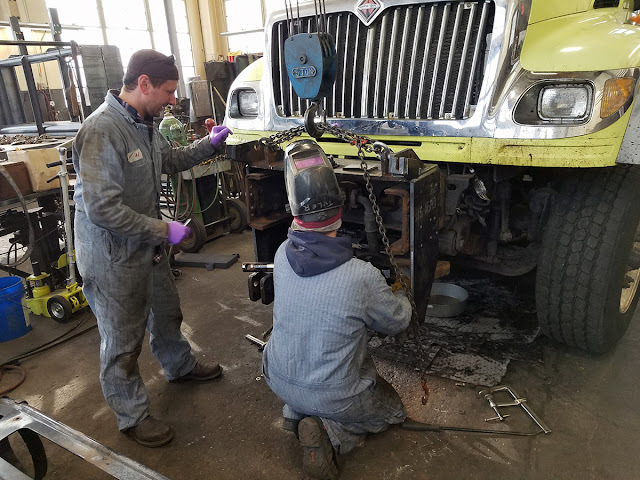 For example, the Colfax maintenance facility is responsible for roughly 895 miles of road, including SR 27, and have about 35 road crew workers, with 20 trucks on the road at any given time. They can't be everywhere at once, so we base our response on priority for each roadway. For the Colfax region, US 195 is a high-priority roadway because of the level of traffic versus that on SR 27. They try to get everywhere they can, but it's no easy task. We don't close roads without reason. Our road crews evaluate the safety of the roadway surface as well as the weather conditions and visibility before making that call. But when we do close a road, we need the public to comply. When someone drives around a barrier or sign indicating a closed road, they sometimes get stuck and our crews have to go in and help. Not only does this put our crews at risk, it takes them away from other work like clearing and treating other highways. It has been a trying month. 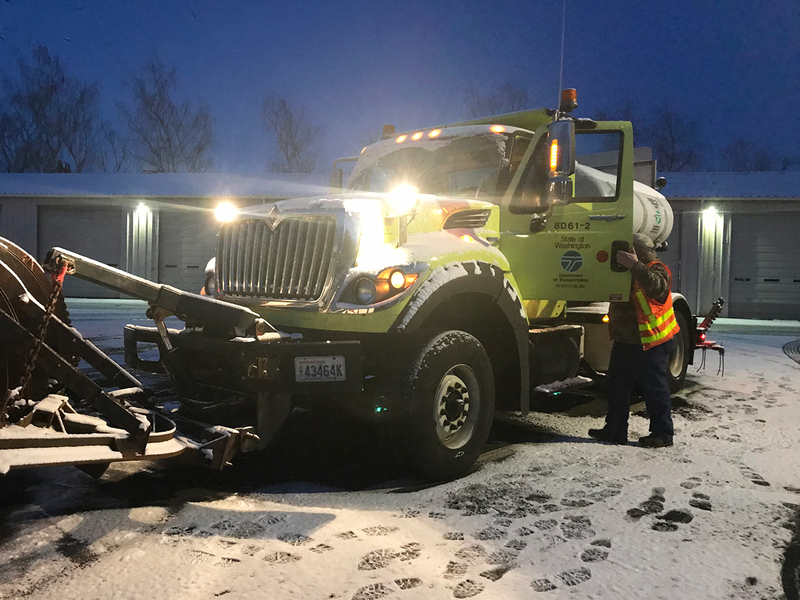 Our crews are working around the clock to get roadways open and clear. 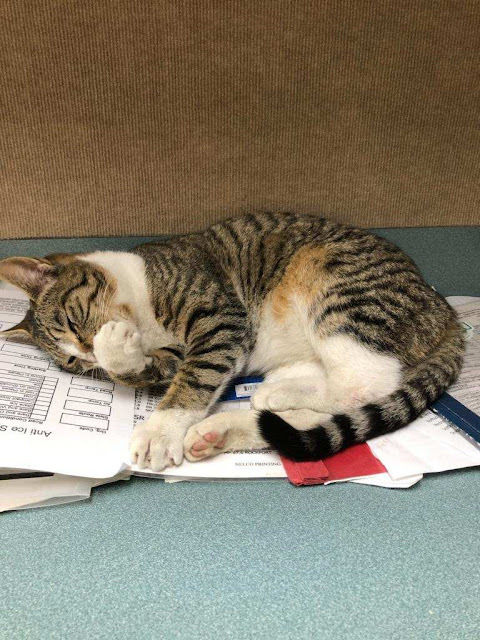 We appreciate your patience and understanding as we work to do so. Hopefully March brings some relief for the Inland Northwest. We're always looking for new ways to talk about transportation safety, and our latest work with the state Department of Licensing is no exception. Driver Guide that debuted this month. 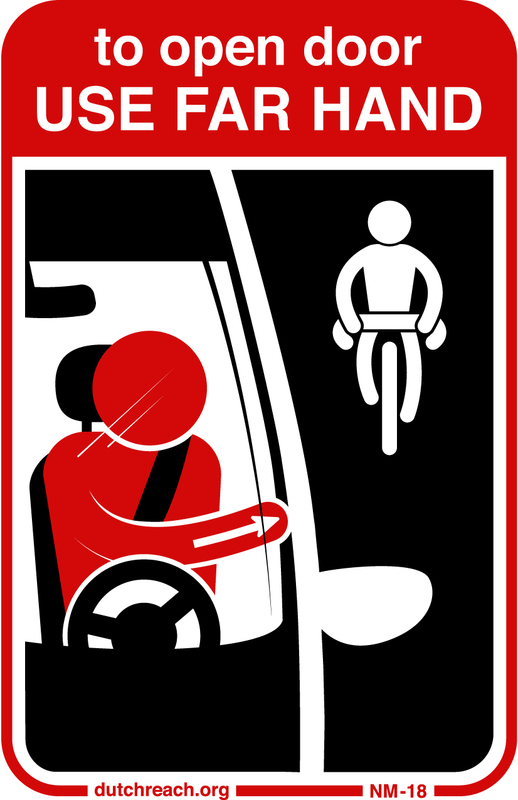 The "Dutch Reach" method of opening vehicle doors with your far hand helps exiting drivers and passengers see oncoming bicyclists or vehicles and was one of the additional safety items we suggested be added to the new driver guide. 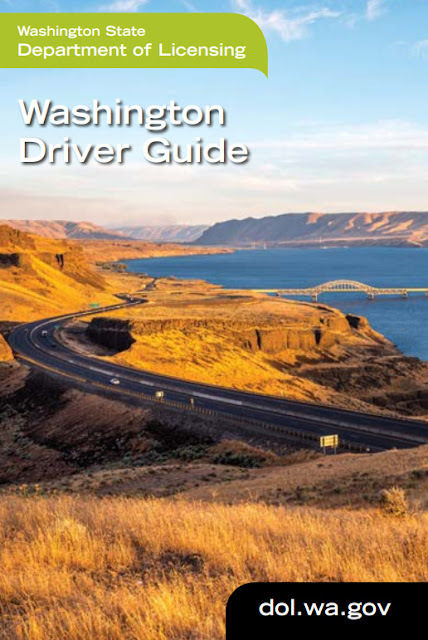 The new Washington Driver Guide (pdf 2.56 mb) came out earlier this month. Paper copies are available at any state driver licensing office. Some of the most noticeable updates we worked on are new and more robust sections about the safety of people walking or rolling (ie those who use bicycles or wheelchairs). An example? A section has been added on the "Dutch Reach" for people exiting vehicles. The "Dutch Reach" – popularized in the Netherlands – entry advises drivers and passengers exiting vehicles to use their far hand to reach across their body and open the vehicle door. Reaching across causes a person to turn their body and helps them see any nearby bicyclists in the process. This also prevents drivers from opening vehicle doors too fast and helps prevent a passing driver from tearing off your vehicle door, the new guide states. Safe travel for all modes of transportation – including people who walk or bike – is an ongoing mission at our agency and several others. Updating the driver guide is one more way to help increase awareness about this important issue and, hopefully, reduce the number of people injured or killed each year. Letting drivers know that most work zone crashes are preventable because they're caused by speeding, following too closely ordistracted driving. Reminding motorists, pedestrians, and bicyclists that they must yield to any highway construction personnel, vehicles with flashing yellow lights, or equipment inside a highway construction or maintenance work zone. Adding details about how to safely approach ferry terminals, including how holding lines work, how to avoid cutting lines and specific regulations that apply. Adding train safety information such as trains often can't be heard as they approach and that no one should ever try to outrun one. In addition, no one should ever go around activated crossing arms because trains can travel from either direction and another train could be approaching even after you see one pass. Adding information about calling the Emergency Notification System number located on a blue sign or metal control box near each railroad crossing if your vehicle gets stuck on the tracks. This allows dispatchers to stop trains that are approaching and also dispatch emergency crews. Whether you're studying for your first driver test or just want to check out what's new, please review the new driver guides and their wealth of information. The more we all know about how to stay safe during our travels the better. Hop on board one of our ferries and get your creative juices flowing because our popular haiku cover contest on Twitter is back! We’re looking for a traditional haiku about the Washington State Ferries experience. 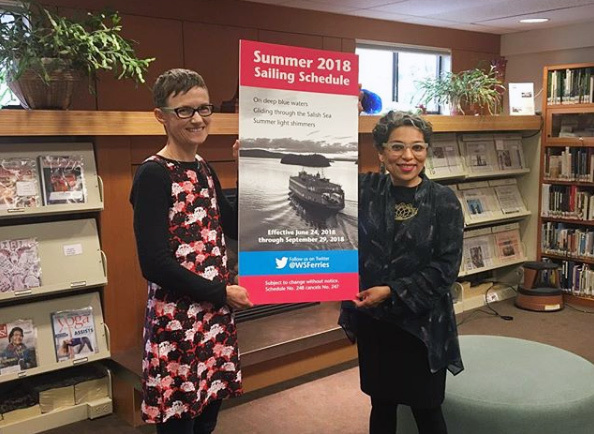 The winning poem will be featured on the cover of our Summer 2019 Sailing Schedule! 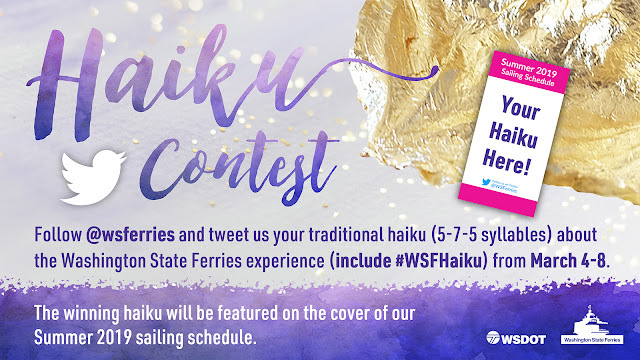 All you have to do is follow @wsferries on Twitter, then tweet your haiku between noon Monday, March 4, and noon Friday, March 8. Be sure to include the hashtag #WSFHaiku. All members of the public, except WSDOT employees and contractors, are eligible and invited to participate. No fare purchase is required. present the summer sailing schedule that Salisbury’s haiku appeared on in May 2018. The finalists’ poems will be posted on the @wsferries Twitter page at noon Monday, March 18. The haiku with the most likes at noon Friday, March 22, will be named the winner. We will then work with the winner to find a photo to serve as a background for their haiku. The work of art will be featured on our 2019 summer schedules! The ribbon has been cut and the paint has dried. The I-405/SR 167 Interchange Direct Connector flyover ramp in Renton is now open to traffic, connecting the HOT lanes on State Route 167 to the HOV lanes on Interstate 405. How does the Direct Connector operate? The Direct Connector flyover ramp is open to 2+ high occupancy vehicles from 5 a.m. to 7 p.m. every day. The ramp is open to all vehicles from 7 p.m. to 5 a.m. every day. Vehicles more than 10,000 gross vehicle weight are prohibited from using the ramp at all times. The ramp is open to transit at all times. To learn more about how the new HOV ramp operates, please visit our ramp operations webpage. 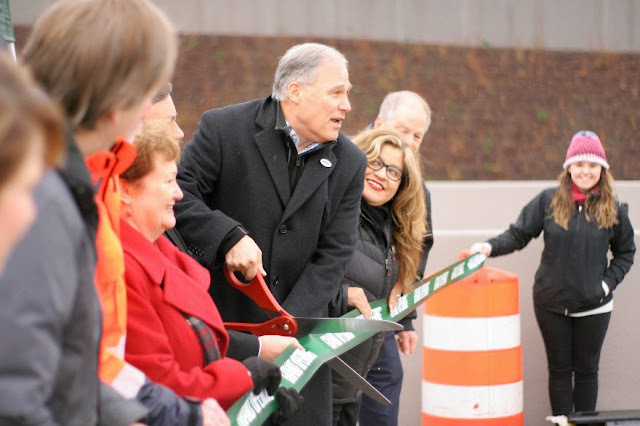 On Tuesday, Feb. 19, we hosted a ribbon-cutting event with special guests, including Governor Jay Inslee, Secretary of Transportation Roger Millar, Mayor of Renton Denis Law, and former Representative Judy Clibborn. Crews finished striping the ramp on Wednesday, Feb. 20, and the ramp opened to traffic in time for the morning commute on Thursday, Feb. 21. While the ramp is open, our crews will still have some work to finish up in the spring. To stay up to date on the latest construction closure information for the project, please visit the I-405 Construction Updates page and the King County Construction Updates page. After being cooped up for what felt like an eternity by a relentless march of snowstorms, my colleagues and I are ready to get out into the community and meet with the public about our upcoming construction projects. With a busy construction season on tap for Whatcom and Island counties, there are several opportunities coming up to learn about what's going on and have your questions answered. coming to Island and Whatcom counties this summer. Come hear about this summer's pavement resurfacing projects on SR 542, as well as the Tawes Creek fish passage project happening on SR 9 in the town of Van Zandt. We'll focus on the two paving projects happening on a 23-mile stretch of SR 542 from Bellingham to the town of Kendall. We've also invited the City of Bellingham, Whatcom County, and other partners to join us for this event in case you have questions for them, too. If you want information about all of our 2019 projects happening in Island County - including the repainting of Deception Pass Bridge and the new roundabout coming to SR 20 - this is the event for you. 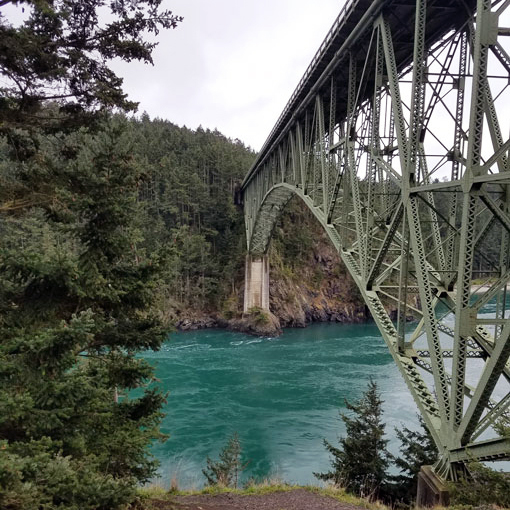 If you can't make it Tuesday, Deception Pass State Park will also hold an event on Saturday, March 16, and will have more information on the Deception Pass Bridge project. and Kendall will be paved this summer. If you aren't able to make the open house in your community and have feedback or questions, you can email me your thoughts at barrera@wsdot.wa.gov. We're looking forward to meeting some of you this month and next. Thank you for being involved in your community and getting engaged in the conversation to help keep your family and all of Washington moving forward. Attention I-405/SR 167 corridor drivers! We are wrapping up work on the I-405/SR 167 Interchange Direct Connector Project and the flyover ramp will be open to traffic as early as the afternoon of Tuesday, Feb. 19. Yes, you read that correctly! The construction you have seen over the past two years at this busy interchange is nearing its end. 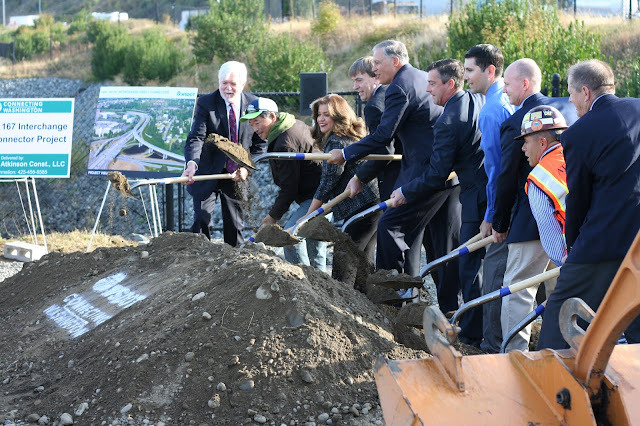 The groundbreaking ceremony for the I-405/SR 167 Interchange Direct Connector Project was held on Sept. 29, 2016. The 2015 Connecting Washington funding package is a $16 billion multimodal investment to enhance the statewide transportation system and maintain critical infrastructure. The Direct Connector is the first phase of the upcoming I-405 Renton to Bellevue Widening and Express Toll Lanes Project, which will help to improve traffic operations throughout the corridor. 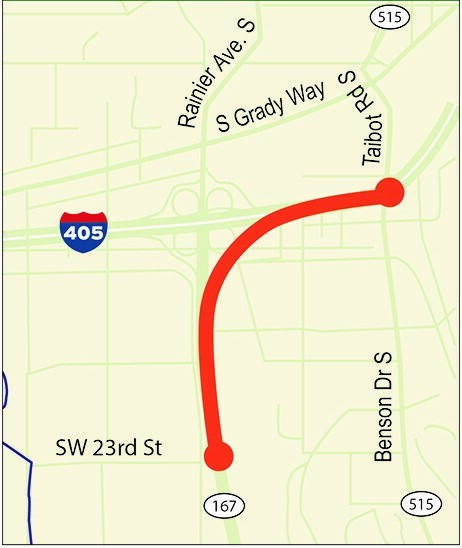 The Renton to Bellevue project will add an additional lane in each direction of I-405 between Renton and Bellevue, rebuild several interchanges and build infrastructure for Sound Transit’s Bus Rapid Transit system. 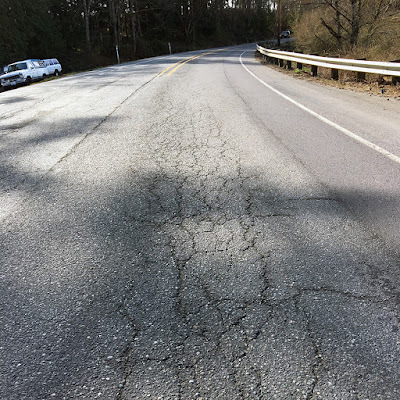 The work also makes additional improvements such as southbound auxiliary lanes from I-90 to Lake Washington Boulevard Southeast in Newcastle, and from Northeast 44th Street to Northeast 30th Street in Renton. The Renton to Bellevue project encompasses the stretch of roadway that will complete a 40-mile express toll lanes system between the Pierce County line on SR 167 and I-5 in Lynnwood. The Direct Connector is the critical component in connecting the High Occupancy Toll lanes on SR 167 to the future express toll lanes on I-405. Until the Renton to Bellevue project is complete, the new 1,500-foot-long flyover ramp will serve carpools from northbound SR 167 to northbound I-405, and carpools from southbound I-405 to southbound SR 167. The ramp will operate as a 2+ high occupancy vehicle lane from 5 a.m. to 7 p.m. every day, allowing single occupancy vehicles to use the ramp outside of these hours. To learn more about the HOV systems and carpool rules, visit our HOV lanes page. 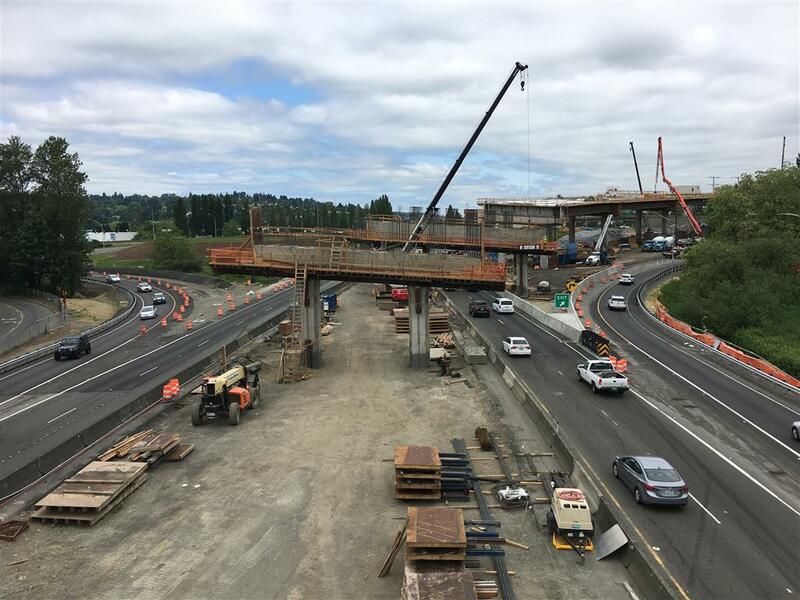 Looking north on SR 167 in May 2018, crews remove formwork from two crossbeams for the future flyover ramp. We will be holding a ribbon-cutting on Feb. 19, the earliest day we plan for the ramp to open to traffic. Once the orange traffic barrels leading up to the base of each on-ramp are gone, the ramp will be ready to use! However, due to the current weather forecast, we will provide an update if conditions require rescheduling opening the ramp to traffic. While we plan for the I-405/SR 167 Interchange Direct Connector flyover ramp to be operationally ready as early as next week, please keep in mind there will still be some overnight closures as the project team completes paving work into the spring. As early as next week, Tuesday, Feb. 19, the I-405/SR 167 Interchange Direct Connector will open to traffic, connecting the HOT lanes on SR 167 to the HOV lanes on I-405. 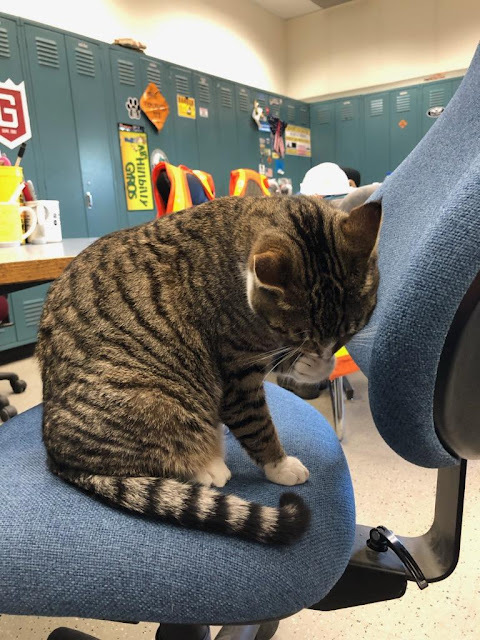 To stay up to date on the latest construction closure information for the project, please visit the I-405 Construction Updates page and the King County Construction Updates page. 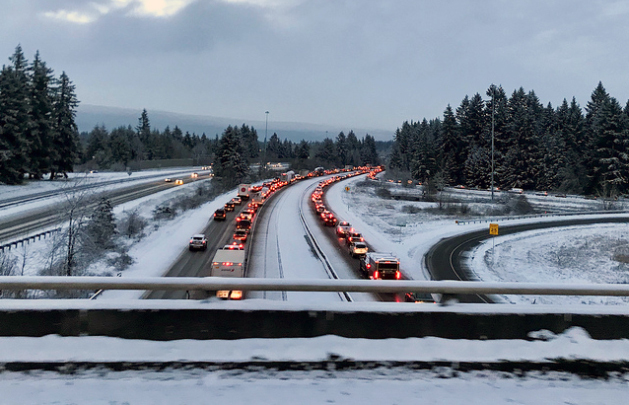 Just as we're digging out from the snowfall in the Puget Sound region earlier this week, the National Weather Service is predicting another round of snow systems starting Friday and lasting through at least the weekend that could affect most of our state. and drivers should give them plenty of room to work. 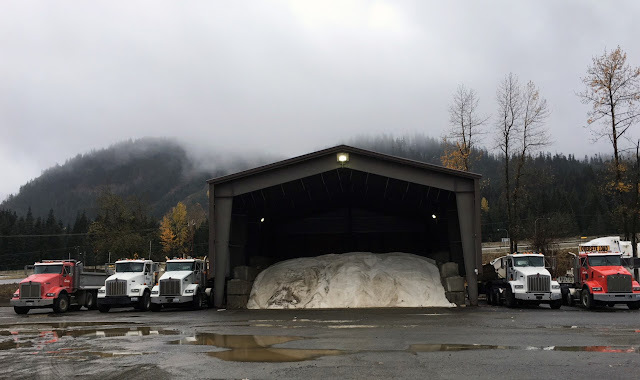 On the west side, the forecast is calling for anywhere from an inch along the coast to a few inches on the southwest and northwest interior, to 3-6 inches in the Puget Sound area, to 6 inches or more in the mountain passes. Central and eastern Washington are also expected to get snow and high winds, with blowing and drifting snow and difficult visibility a concern. These are just projections by the NWS at this point, but it's better to be safe than sorry. Our crews will continue to pre-treat highways and plow and treat roads during the snow. We prioritize the highest-traveled routes, working to keep at least one lane as clear as possible. That said, if heavy snow is falling, there's only so much we can do and it will affect roadways. Roads will be slick, bridges/ramps/overpasses will be icy, collisions will increase and traffic will be challenging. traffic congestion and drivers should plan plenty of extra time to their trips. That's where you come in. In conditions like this, travelers must be sure they and their vehicles are prepared for winter conditions. Slow down. Seriously. We can't say this enough. Slow down. At these low temperatures, even if a road appears to be clear, it could be icy. With the low temperatures we've had this week, roads will also ice up quicker than normal once new rain or snow starts to fall. Other than not traveling at all, there is no better way to be safe in these conditions than lowering your speed and being cautious. And remember, 4-wheel drive and all-wheel drive doesn't mean you can steer or stop better on ice. In addition to slowing down, build in extra time for any travel. You and everyone else need to take it slow, so your normal commute time won't be enough. It's no fun leaving earlier than normal, but it's far better than worrying about your time while also dealing with snow and ice. If you can, think about adjusting or cancelling weekend travel plans. Consider heading home a little earlier than usual Friday to ensure you get there before any snow starts falling, for example, or delay weekend plans to later in the month. Be sure your vehicle is in good shape. Check your tires. Be sure you have a full tank of gas. Clear all the snow and ice off your vehicle, including your roof. Snow can fly off the back at other drivers or even fall forward and suddenly cover your windshield. Give each other space. Increase following distance, work together, signal your intentions. 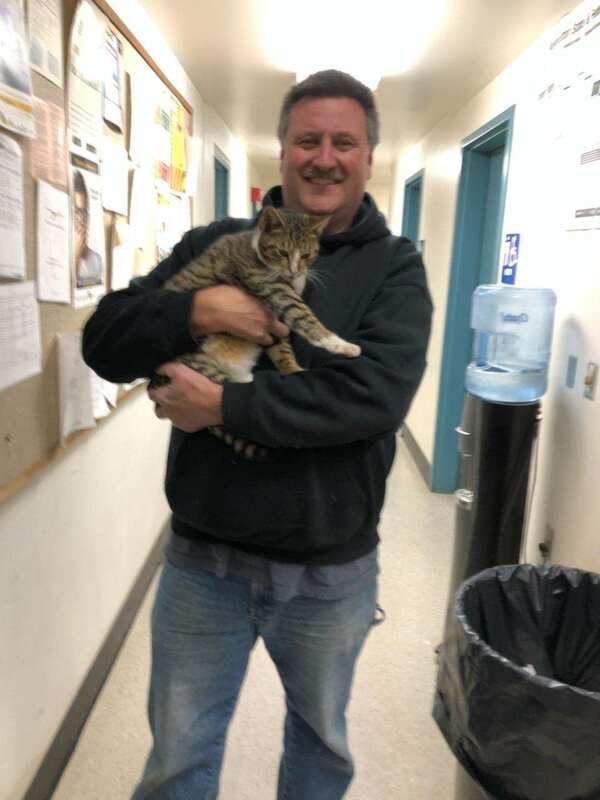 Work to keep everyone safe. Give road crews as much space as possible. This includes snow plows and emergency responders. It's safer for you and it's safer for them. And the safer they can work, the quicker they can get an incident cleared. Be patient. Traffic could be slow. Crews may take a while to get to your area. 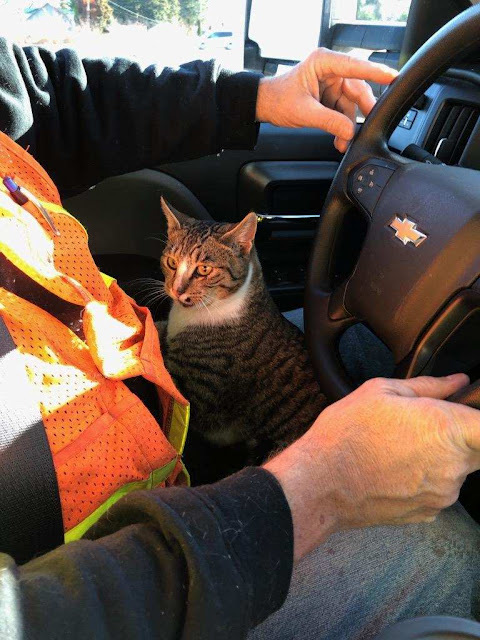 Everyone is working hard, everyone wants to get where they're going safely. Take your time, set realistic expectations and remember that it's always better to get somewhere safely than quickly. If mountain passes are in your travel plans, be aware that Washington State Patrol troopers will be doing chain enforcement. Have chains available, know how to put them on, and do so if the traction requirements call for it. Stay plugged in to conditions on our mountain pass page. 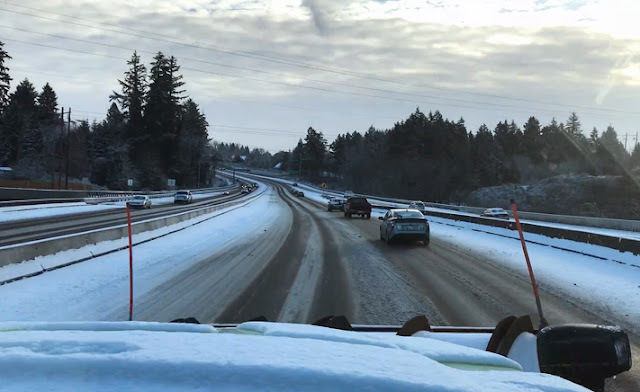 While our crews work to keep all highways clear, priority is given to the highest-traveled routes such as I-5. There are some pretty large special events going on this weekend. Though Michelle Obama canceled her Friday appearance, Bob Seger (Saturday) and Justin Timberlake (Sunday and Monday) are still on at the Tacoma Dome and the Seattle RV show Friday-Sunday at CenturyLink Field Events Center. If you can take transit or carpool to the events, it would help, and be sure to add as much time as possible to your trip to get there. Stay informed about road conditions, weather and any closures by using our online tools such as the our app, our travel alerts page, regional Twitter accounts and Facebook. Or keep it simple by calling 5-1-1- for travel conditions. Keep in mind that we don't maintain every road in the state. Our jurisdiction is primarily state highways. While we coordinate with partners in local cities and counties, we don't typically maintain city and county streets and roads. If you have concerns about those areas, please contact those local jurisdictions. If you get in a collision, your vehicle stalls out or for whatever reason you get stuck on a highway, please don't abandon your vehicle. It is never safe to walk on a state highway, especially in icy and snowy conditions. If possible, pull off the highway or to a shoulder and wait for law enforcement or an emergency responder to come assist you. Abandoned vehicles also hamper our ability to plow and keep roadways clear. If you are unsure of your ability to drive on snow and ice, go with that feeling and if at all possible, don't travel during these storms. The safest thing you can do is to stay off the roads. This has been a challenging week, and it could get even more challenging if we see a series of heavy snow events. We'll have crews working before and through any storms, but we also need your help. With some preparation and adjustments, we can all get through this weather event safely. Since our educational campaign for the new SR 99 tunnel in Seattle launched, we’ve received a lot of questions. The media have prominently featured the viaduct closure and the tunnel opening, so why did we need to spend money on billboards, commercials, and other forms of paid media? This campaign is teaching people how their commute will change with the tunnel and giving them all of the tools to learn more about their commute online at 99tunnel.com. One of the big changes drivers will have to adjust to is the new route of the tunnel. There are no longer any mid-town entrances or exits like there were on the Alaskan Way Viaduct. In late 2017, we surveyed approximately 1,000 drivers in the Seattle-area who live in zip codes serviced by the SR 99 corridor. The survey showed that only 30 percent of respondents knew there would be no entrances and no exits to downtown in the tunnel and that they would need to exit before or after the tunnel to get to destinations downtown. With lower awareness of these major changes to the SR 99 corridor’s route through Seattle, we realized we needed to reach drivers and provide them with information on how their commute will change. 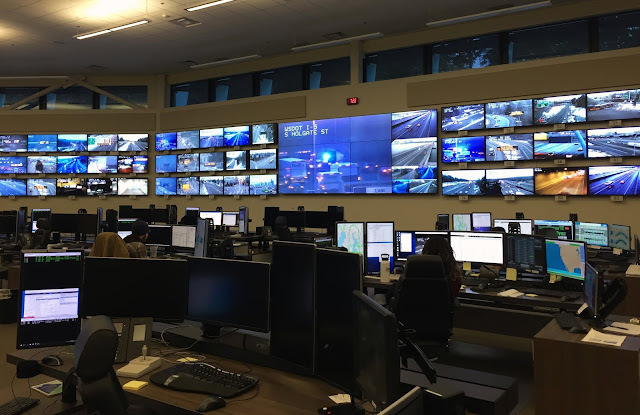 Our experience with opening the I-405 express toll lanes and SR 520 Bridge has shown us that a robust educational campaign with traditional media, grassroots outreach and social media engagement are all essential in reaching the broadest possible audience. By using different avenues to reach drivers, we’re able to provide them with the tools they need to figure out their specific route, on their own time as specific routes are unique to each individual driver. 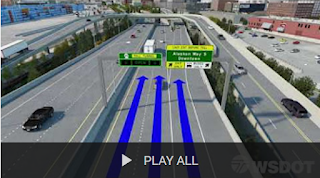 When people visit our resources available at 99tunnel.com, such as these videos that focus on how to use the tunnel, they can better understand the route of the tunnel which will help reduce the potential for confusion or frustration. More importantly, an educated driver is a safer driver. Tolling will start as early as this summer and closer to toll commencement, there will be a second phase of the educational campaign focusing on tolling in the tunnel, and how Good To Go! works. In the survey we mentioned above, 67 percent of drivers who didn’t have a Good To Go! account were unaware that they would pay a lower toll rate with a Good To Go! account. Drivers who know how to use the tunnel and have a Good To Go! pass to pay the lowest rate will be more likely to choose the tunnel when tolling starts. Our hope is that this helps reduce the number of drivers who seek alternate routes, such as city streets and I-5. We dedicated $4.4 million of the overall $3.3 billion viaduct replacement program budget to this educational marketing campaign. About two-thirds of the campaign budget, or $2.8 million, pays for the costs of placing ads on television, radio, print, billboards and more. These costs are not small, but represent the cost of reaching drivers in the 12th biggest media market in the United States. The remaining $1.6 million went to research to ensure we developed the most effective campaign possible, development and production of the campaign. The 24-hour countdown to the SR 99 Tunnel Grand Opening has begun! 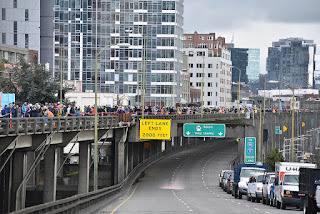 Whether you're heading out for the fun run, planning to bid adieu to the viaduct or just monitor from home, here are some ways to stay informed about all of the events Saturday and Sunday. Still planning how to get to the event? Check out this helpful website. More event tips are available in our 5 things to know before you go blog and common questions about the event. We expect a strong turnout – about 100,000 people throughout the weekend -- so we ask that all visitors help everyone have a good experience by being patient while in line (staggered starts and entries help crowd flow and also meet safety and capacity requirements). Once at a particular event, please also be considerate of those behind you by making room for others once you've experienced each activity We want everyone to have a fun and memorable visit.